As a business owner, you’re naturally inclined to make sound decisions that will impact your business in the best possible way. But, even after thorough deliberation, you’re still likely to ask: how much does it cost to build a website? That’s what you need to figure out. By identifying the average cost to build a website, you’ll know how to find the right agency that can set the foundation for your digital transformation and, ultimately, get you more customers. We’ve put together this comprehensive guide to help you determine how much to spend on web design for your business. Whether you’re planning to get a new website built or improving the one you have now, this post will provide you with the major things you need to pay attention to. The scope of your project will allow the agency you’re going to work with to determine how much time and effort they need to allot for the work. This is where a creative or web design brief becomes helpful in identifying the scope of your project, which will also provide you with a basis for website design cost. The cost of getting a website done goes beyond the design building and development aspect. 1. How will they help you? Deliverables – These are processes that go into how your website will be built by the agency. This should show a breakdown of smaller steps to develop your website. Delegation – In most cases, digital marketing agencies will assign to you a website development manager who will serve as your point of contact, but it’s still important to ask who will be responsible in developing your website. 2. How long will it take to build a website? You need to know if you’re getting the most of the hours you’ll be paying for, which is why there should be a clear timeline for your site’s development. This also helps you align expectations with your developer in terms of whether the features you want are still within the scope of the project and can be done within a realistic deadline. This covers the level of technical and creative skills that go into the work. The difference in expertise is more apparent when you look at the work of a single freelancer versus that of an agency’s. Most freelancers will charge you hourly for web development work. The more features you want to be in your site, the higher the costs – this is mainly because it will take an individual freelancer longer to complete the project. 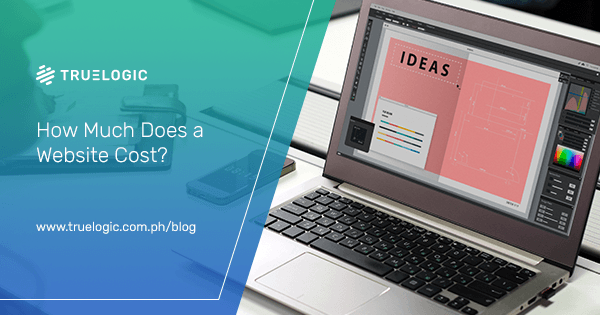 If you hire an individual freelancer, you may need to hire other specialists for some of the work needed to be delivered for your website, such as content writing and graphics design. Hiring an agency for your website development is an entirely different experience than when you work with an individual freelancer. While agencies are also likely to have hourly rates, most of them have web design packages to choose from. The work will be delegated to different individuals, which means a more stringent process to complete the project. Most importantly, hiring an agency eliminates the need to find other experts to fill in some of the work needed, as you’ll have all the expertise you need under one roof. Website themes – Some website themes are free, but if you want a great-looking, responsive website, better not skimp on this aspect. Website themes are priced around $15 to $1000. Development – How do you want the site to work? Not all sites are built to have five pages. Depending on the goals and nature of your business, your site will have different features, such as contact forms, secure transaction pages, discount portals, and chat functions. These functionalities will require further development. Some digital marketing agencies offer high-quality content and graphic design as part of their web design and development packages, but you might also want to set aside a budget that covers both aspects. Content creation – Are you planning to launch a new website? Or simply improving your existing site? Costs may depend on the amount of content you’ll need to populate the website. A standard 300-word blog can cost around $5, while long-form content can cost $15 to $20. Graphic design – Some web designers use premium stock photos to make your website aesthetically pleasing. Some sites offer free stock photos, but others come at reasonable prices. Shutterstock, for instance, offers a monthly subscription plan that may cost you around $200 to $250. This includes the tools and platform used for website development. By identifying the features you need versus the features you want, your web designer will be able to come up with a good estimate on your website costs. This covers the domain, hosting, and platform that will be used for your website. These are the basic technical foundations of your website – if you don’t have these, you don’t have a website. The domain is the address of your website, which is why it’s important to choose a domain name that’s unique to your business. The costs to buy a website domain depends on the domain extension (.com, .org, or .info), but in general, you can get a domain from a registrar site for around $5 to $20 per year. However, if the domain name you want is already taken, you need to buy it from the owner. The downside to this is pre-owned domains can cost roughly up to $1000 (or even more!). Shared Hosting – This type of hosting service means you’ll have your website on one web server along with many other websites. The cost for shared hosting ranges from $2 to $10 per month. Dedicated Hosting – This type of hosting means you’ll have an entire server for your website. This can cost you around $75 to $100 per month. Virtual Private Server (VPS) – This type is a combination of shared and dedicated hosting, but offers more server capacity at a fraction of a cost. The costs for VPS hosting range from $20 to $100 per month. Depending on the site’s size and performance requirements, hosting can vary from $10 per month (Digital Ocean and the likes) to $30 per month with WPEngine that specializes in WordPress hosting. The rate can go higher if the site was to be hosted with one of the big cloud computing providers like Amazons’ AWS, Microsoft’s Azure, or Google Cloud. What platform will be used to build your website? This is one of the factors that can affect your web design costs, as different platforms can offer various features that suit the needs of your website. WordPress – The most recommended platform for business websites. Using WordPress is completely free; you only need to pay for website hosting. Wix – An easy to use website builder with readily available templates. It’s free to use, but also has paid subscriptions ranging from $5 to $25 for additional features. Shopify – The most recommended platform for businesses that need an ecommerce website. Shopify has monthly plans that can cost you $10 to $100, depending on the features you want for your website. Custom Build – Could be anything from PHP based frameworks, to NodeJS, Ruby on Rails and other programming languages. If your project is basic and doesn’t need a lot of heavy lifting, we recommend sticking to the formers. Troubleshooting – When an update to your site suddenly causes it to crash, you need to know what to do and you need to be prepared. Part of this is having a backup system that allows you to restore any data in case your website crashes. Some companies offer website maintenance ranging from $50 to $350 per month, and this depends on the technical services you need. Updating plugins – If you want to improve certain features of your website, you’ll need to add update some plugins. While there are thousands of free plugins available for WordPress sites, you may want to invest a few bucks for premium plugins. Security updates – It’s essential for any website to have security updates to deter malicious activities. Your website developer can add an SSL certificate to secure your site, and the cost for these security features may range from $10 to $300 per year. It’s important to set your expectations right from the start, and that’s where the wedding analogy comes in. When you get a website built, think of it as planning a wedding – it can be cheap, beautiful, or fast. You can only get two out of the three. A website can be cheap and fast, but it’s not going to be beautiful. It can be beautiful and fast, but it’s not going to be cheap. It can be cheap and beautiful, but don’t expect website development to happen in two days. By using this analogy, you can immediately set expectations based on: budget, timeline, and quality of your web design. Your website is an investment. It’s your digital business card, and having one that’s well-designed and built to get more customers can provide tremendous opportunities for your business. So, it’s worth knowing how much you’re going to invest in this project. And if you have any more questions, we’d be happy to answer them for you.